Looking to make another noise this month with their shoes outside the usual Air Jordan number series, Jordan Brand released another installment of one of the best Jordan Team Elite shoes, the Jordan TE 3 Low. 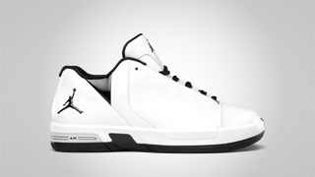 The Jordan TE 3 Low, which made waves during the release of its previous colourways, is set to hit strides once again this July 2011 with the release of the White/Black – High Voltage colourway of the shoe. So if you are looking for a classic but elegant casual shoe, then you should not miss this new release from Jordan Brand!